The Olympic Summer Games in London was very successful. They also went out of their way with planning the closing ceremony. It was a fine mixture of some dance, music plus some incredible light shows. A lot of the fans danced with some of the most popular U.K. Singers that people know all around the world. Here are some of the best top ten cool Olympic 2012 Closing Ceremony Moments. 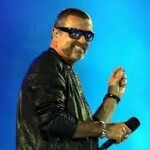 George Michael might have been the last person people thought they would see at the 2012 Olympics Closing Ceremony. The reason why was last year he battled with pneumonia and it was almost life threatening. 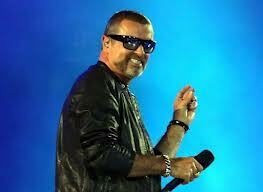 Fans went wild when George Michael appeared on stage. He is known all over in the UK and around the world for his British pop. He performed to the song “Freedom” and he also performed to one of the new songs on his newer track. I think that Fatboy Slim wanted to always be remembered and let people know that he was back. He made a wonderful return with the giant Illuminated Octopus. His performance was a surprise and he performed some of his greatest hits such as “The Rockafeller Skank” and “Right Here, Right Now”. The songs that he did worked out perfect and his fans know that he is ready to get back into action. He went thru some hard times and battled with alcoholism but it looks like he is now back and proved that at the Olympics. Lolo Jones had a rough week in the Olympics. She finished in fourth place with just 12.58 seconds. She talked about the loss she had was devastating. She said that it was just only two days before she could compete in the Olympics and because of what happened they just ripped her out into shreds. In the middle of the closing ceremony she belted out “Wonderwall”. One Direction is very popular and they had a wonderful performance at the Olympics Closing Ceremony. Harry Styles, Zayn Malik, Liam Payne, Niall Horan and Louis Tomlinson also known as the band boy group One Direction did their hit single called “What Makes You Beautiful”. A lot of the fans went wild as they started to sing and decided to sing along with them. The song “Always Look On The Bright Side of Life” was made famous because of “Monty Pyton’s life Of Brian”. Back in 2005 it was third on the top hit charts and a lot of people wanted the song played at their funeral. Back in 1989 when Chapman had passed away the Phyton members decided to sing the song together. It brought back a lot of memories when people heard it at the Olympics and it looked as if almost everyone was singing to it. A lot of people loved the performance that Emeli Sande did on top of the piled up newspapers but maybe one of the most remarkable performances was the flying bicycle. It was a wonderful performance and one that shocked a lot of people as the bicycle started to fly thru the air. The Olympics highlighted Batman and Robin. This was a surprise moment for a lot of people and maybe even a shocking one. What a lot of people don’t know is that Batman and Robin was first British heroes and just part of the actual English culture. It wasn’t until later that the two heroes started becoming famous around the world and therefore, it just seemed very fitting to have Batman and Robin at the Olympics. It only seemed right for them to add in John Lennon at the Olympics. He was shown on the huge screen as the choir that was from the home city of Liverpool was onstage singing. They sung the song “Imagine” and it was a huge success. It made many people from around the world miss John Lennon and remember his music. Back in the year 1991 Freddie Mercury died but his memory lives on in the hearts of many. There was a wonderful hologram of Freddie Mercury at the Olympics. Jessie J did a wonderful job singing “We Will Rock You”. The Spice Girls made a wonderful entry into the Olympics with coming out of Taxis. The crowd went wild as they started to sing some of their old time hits. Back in 2001 everyone might remember the Spice Girls splitting up and it was a hard time for their fans. This was the first time they were reunited since the reunion tour back in 2008. Posh did not dance at first but then finally got into the groove of things, maybe showing the world that she is still Posh. The Spice Girls helped women with bringing confidence to them and many would agree that there is something about them that is empowering. It was wonderful seeing the Spice Girls at the 2012 Olympic Closing Ceremony.